Vancouver is a city on edge. With the region’s mayors declaring a homelessness crisis, long-standing concerns about affordable housing in the city and surrounding municipalities remain on the boil. The upcoming provincial election will surely keep housing top-of-mind. There are a lot of bewitching numbers out there, however. Many people try to use them for a witch-hunt, but which one should we blame for out-of-reach housing? Is it a lack of supply? Strong demand from foreign buyers? How about vacant homes? The latest census numbers offer a clue, as a couple of recent columns in Business in Vancouver point out. Ryan Berlin, senior economist for Rennie Marketing Systems notes that Metro Vancouver residential vacancies were relatively stable between the 2011 and 2016 censuses. The region saw vacancies (units not occupied by their usual residents on census day) rise just a smidgen from 6.9% to 7.0%. Business in Vancouver real estate columnist Peter Mitham took things a step further, drilling into where vacancies occurred within the city of Vancouver. Just 8.2% of homes in Vancouver sit empty, he reported. If you include UBC, which isn’t technically part of Vancouver, the city’s vacancy rate leaps to 8.7%, up from 7.8% in 2011. In fact, the city’s biggest increase in vacancies was at UBC – a whopping 26.6%. One possible reason is a high number of recent completions, combined with investor purchases. Yet most people I’ve worked with have bought to live in their units, so this is a side of the market I seldom see. However, the numbers underscore a few important points. One, perception plays a big part in how we understand any given market. This is why statistics are important. We need facts to underpin our decisions, whether the decision is to buy, sell or tax a particular type of property. Two, the renovation and redevelopment of Vancouver Westside real estate isn’t the biggest contributor to vacancies in the region. While the dramatic and ongoing transformation of single-family neighbourhoods causes concern, many of the homes are – if we trust the census numbers – occupied. 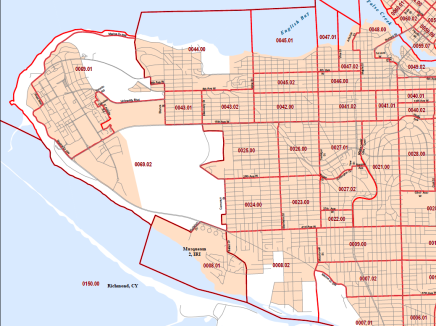 Third, the vacant homes tax Vancouver is rolling out is a local response to a regional problem. Just like a higher tax rate on sales of Metro Vancouver residential properties to foreign nationals, a vacant homes tax risks sending buyers elsewhere. UBC condos could attract more people who leave them empty in the absence of a regional policy. This isn’t to say I support such policies. I believe a higher tax on foreign real estate purchases brought some needed moderation to the market. It will take more than a few policies to make housing more affordable and keep buyers in the market, however.